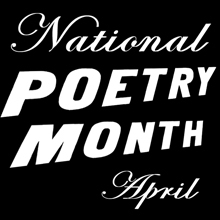 April 8, 2012 June 30, 2013 ~ N.
April is National Poetry Month! So I bet you can guess what will be the subject of m y posts for a while. And more specifically, as you can tell from this post’s title, this one is about favorite poems. I’ll be giving a some of my favorites here, and readers can give their own in comments or emails. Be sure to say why you like them, and I’ll post them on the blog. Okay, so first off: Brian O’Linn, written by an anonymous author. It’s a poem of nonsense: “Brian O’Linn had no watch for to wear,/He bought a fine turnip and scooped it out fair,/ He slipped a live cricket right under the skin–/’They’ll think it is ticking,’ says Brian O’Linn!“ It’s a just a fun poem that will make you laugh with its ridiculousness. It can be found in the book A Pot O’ Gold. Another favorite is Oatmeal, written by Galway Kinnell. It’s a free verse poem, meaning it has no rhyme, and it’s one of my favorite poems to read when I have a chance. You could say it has a subtle humor, I suppose. And it includes one very important piece of advice: Never eat oatmeal alone. (Apparently it is not good for your mental health.) This poem can be found in Poetry Speaks Who I Am. Number three–How I Discovered Poetry, by Marilyn Nelson. Also free verse, and also found in Poetry Speaks Who I Am. One of the best things about poetry is the way the words just sound and flow. The effect is something not-quite-but-kind-of-musical. This poem is a good example of that, and that’s one of the reasons I like it so much. Yet another poem I love is penned by Alexander Pope, and it’s called Epigram Engraved on the Collar of a Dog Which I Gave to His Royal Highness. I think it’s hilarious, and since it’s only two lines long, I’ll give it to you right here: “I am his Highness’ dog at Kew;/Pray tell me, sir, whose dog are you?” I hope the giver of the dog didn’t get in too much trouble for being smart. This is found in Poetry Speaks to Children. And last but not least, The Survivor, by Marilyn Chin. It carries a kind of quiet strength, telling the reader to not be tortured by what they are or are not. Whether you are a boy or girl, white or black, etc. This poem is in the book Poetry Speaks Who I Am. That’s all for now. But there are so many more great poems out there, dozens upon dozens. Used Book Shop by X. J. Kennedy, Zodiac by Elizabeth Alexander, Dressed Up by Langston Hughes, and many, many more. Read some poetry this April, and don’t limit it to just then! Remember, if you comment/email with your favorite poems and give reasons why you like them, I’ll mention them in upcoming blog posts. Bye for now!